Nearly six months into operating under its new structure, HARMAN Professional Solutions announced its participation in Miami Music Week 2016 in another example of its customer-centric approach. This partnership demonstrates the division’s commitment to its customers in the nightclub market, along with appointing Bradley Drummond as Nightlife Solutions Manager in October 2015. Providing solution expertise in key markets is designed to help customers, like nightclub operators, advance their businesses by providing unique experiences and improvements in quality, procurement, design support, installation, programming, commissioning and customer service. HARMAN Professional Solutions has been providing audio and lighting solutions for some of the highest profile events in the United States for more than a decade. 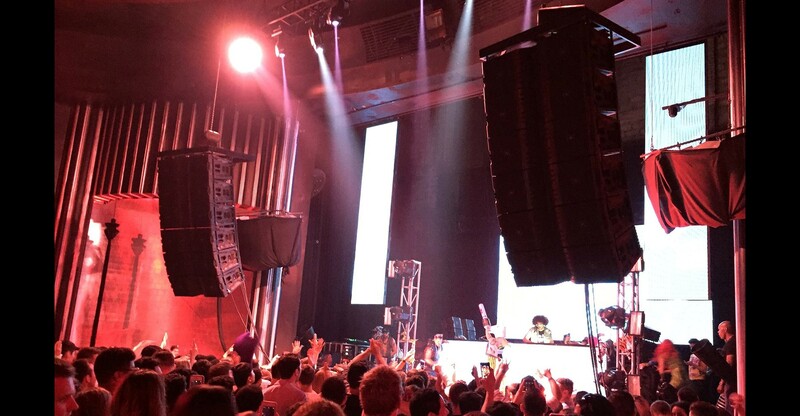 By leveraging this expertise and dedicating resources to the nightlife market, HARMAN offers a host of technologies for nightclub owners who want to elevate their customers’ experiences and provide a venue for talent to perform with optimal results. The system for Miami Music Week was designed by Drummond and Tony Perez, Manager, Cruise Lines & Nightlife, HARMAN Professional Solutions, in collaboration with Icon Hospitality. All of the audio and lighting equipment and technologies come from the HARMAN Professional Solutions family of products. Martin Professional lighting is used throughout the venue. The design includes 16 MAC Quantum Profiles, 11 MAC Quantum Washes, 23 RUSH MH 3 Beams, 11 Atomic 3000 LED strobes and two JEM Hazer Pro atmospheric hazers. The main audio system consists of 18 JBL VTX V25-II line array elements hung in two arrays for the main dance floor. Twelve VTX G28 dual 18-inch ground stackable subwoofers are in front of the stage. Six VTX V20 loudspeakers and four VTX S25 arrayable subwoofers flank both sides of the stage for DJ monitors. The main VIP area has eight dedicated VTX V20 loudspeakers in two arrays, and the VIP balcony features eight VerTecÒ 4886 line array elements ground stacked in two arrays, with a total of four VerTec 4883 subwoofers completing the configuration. Fifteen Crown I-Tech 4x3500HD and six I-Tech 12000HD amplifiers provide power to all the JBL speakers in the venue, and a Soundcraft® Si Impact digital mixing console is used for audio mixing. Miami Music Week (MMW), an annual event held in Miami Beach, Florida, attracts some of the biggest names in electronic music and hundreds of thousands of attendees to more than 70 participating venues around the city. Individual events and shows run concurrent to MMW, including the highly popular, three-day Ultra Music Festival. Icon Nightclub, a participating venue in MMW and the official headquarters for several HARMAN-sponsored shows throughout the March 15–20 event, will host top-billed DJs like Ferry Corsten, Armin van Buuren, Nicky Romero and Dimitri Vegas & Like Mike, with more shows and many special guests throughout the week yet to be announced. To learn more about Icon Nightclub, please visit http://iconmiami.com/. To learn more about Miami Music Week, please visit http://miamimusicweek.com/.